If you don't follow me on Snapchat you are missing out. Today is a very important anniversary! 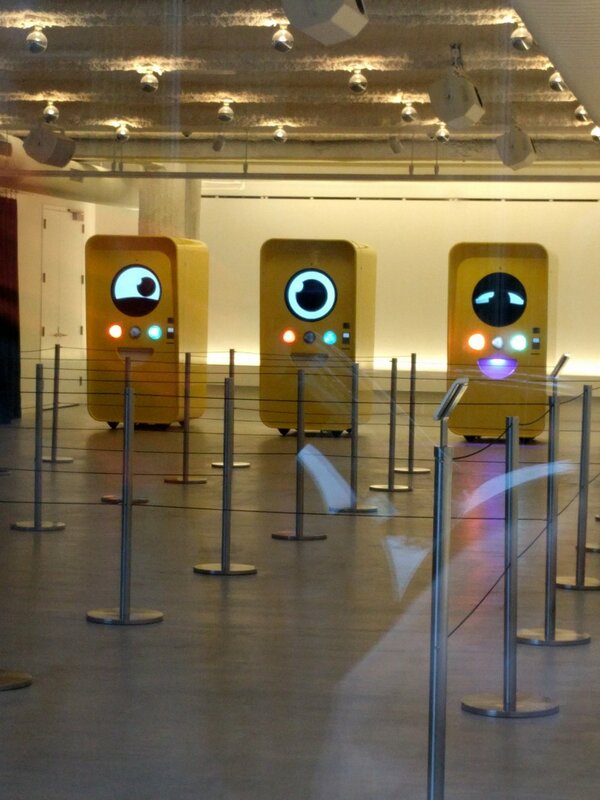 Snapspecs Vending Machines in the pop-up shop on 5th avenue in Manhattan, 2017. Here we have the birthplace of my much loved Snap spectacles which I use pretty much every day to record the various places that I walk to, the campus, and my thoughts about everything. And don't forget - most of the things I eat are recorded there too. There are many more videos like this to come in the future. This is just a sample of what my snap specs have allowed me to accomplish in life. They really have worked out great. It was freezing this time last year (17 degrees F) and it was icy and snowy, but I think it was worth it. it's one of the few gimmicky tech things that I still can say I use every day (or almost every day) since I bought it. If you don't follow, consider this your open invitation. I am pretty good about updating although my recent interest in Pokemon Go has be using them a bit less than normal, I'm sure I'll be back up to normal posting volume in a couple of days. There's also just not a lot of reasons to leave the house right now. AGDQ is on, and I have a lot to read and write about. Plus there's a semester coming right around the corner to get ready for. More on that in another post. for now, happy first birthday, Specs! I sure hope your battery keeps its charge and I don't break you by casually shoving you in my backpack. if you want to see more snap specs action in its natural environment, just follow me on Snapchat. If not, don't worry I will most likely post the videos here too if they are relevant.